I like the wires against the blue sky – they make the entire sky seem bigger as they travel onto the horizon. Not that the Lone Star is as small as the sigh. As big as Texas is, an even bigger sky exists overhead! Great composition. I like the sense of humor here. The “O” in CO.? That’s where Bexar County is. I like that signage… clear blue sky! 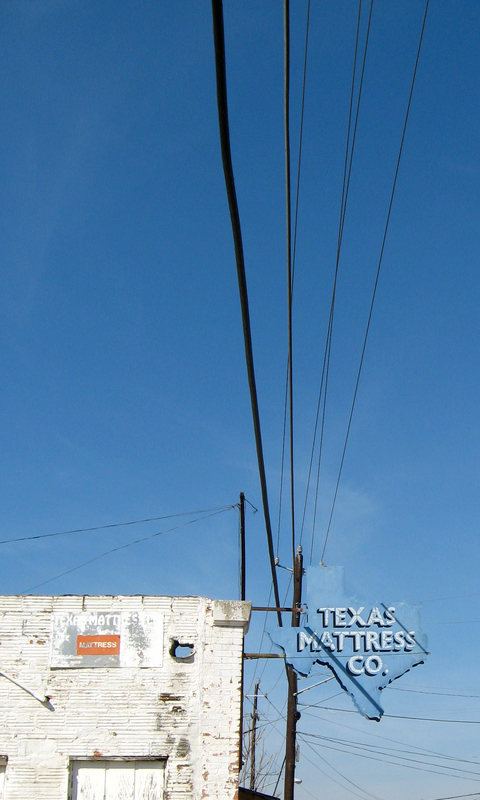 Wow, that is one blue sky, and the sign is almost a perfect match. This reminds me of “Life” magazine – the last page was a cool photo they labeled miscellany. This would fit so well! The composition is terrific! Sometimes the mundane can really stand out. I have shots of sunny skies while travelling! I admire photography that makes everyday life seem special. Well done!